Motorola RAZR & RAZR MAXX – How to Safety Reset Factory Default? When doing the factory reset all aplication, such as Google Account, Contact, SMS, application and its settings. Press together : VOLUME DOWN + VOLUME UP, after that continue with pressing POWER button until the option appear in the LCD. Wait several minute than The MOTOROLA RAZR / RAZR MAXX will restart by itself and ready to the first time start state. When will We Need to Factory Reset Motorola RAZR and Motorola RAZR MAXX ? Motorola RAZR need to be hard reset to factory default when we can not access anything at this phone, or the phone going so slow or some unusual problem happen at the Motorola RAZR. Please remember to always backup your data before doing Hard Reset. 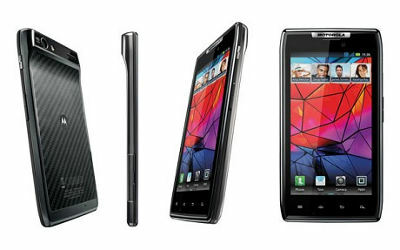 Some User ask about How to SOFT RESET the MOTOROLA RAZR and MOTOROLA RAZR MAXX? First we have to confirm about the difference between Soft Reset and Hard Reset. If we need to Soft Reset than all data will not erase and the phone just restart as usual. If we doing the hard reset than all data will clean up and everything going to start as factory default. The information from this page describe about motorola xt910 hard reset,hard reset motorola xt910,hard reset xt910,factory reset razr maxx,xt910 hard reset,how to factory reset razr maxx,motorola xt910 factory reset,hard reset motorola xt910 maxx,hard reset motorola razr xt910,hard reset razr maxx. If you need another resource for hard reset, use search function at this homepage or find from our related posts. How to Easily Master Format SONY XPERIA XA1 (DUAL) with Safety Hard Reset? How to Easily Master Format SONY XPERIA L2 (DUAL) (H3311 / H3321 / H4311 / H4331) with Safety Hard Reset? Hi, sorry we never use that kind of software, but please be careful while using rooted smartphone, because if you do some wrong step, will make the MOTOROLA RAZR become problem or can not boot properly even you do the hard reset.